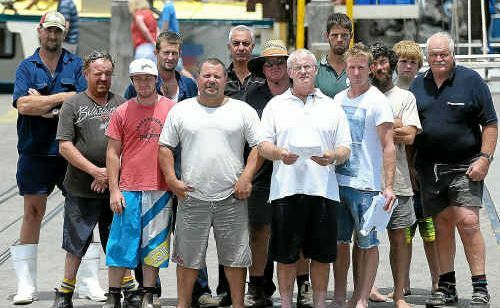 NEWS of the seven per cent expansion of the Solitary Islands Marine Park brought about a hastily convened crisis meeting at the Coffs Harbour Fishermen's Co-op. Co-op chairman Russell Kerr said the local fishing fleet was devastated by the zoning changes to fishing grounds in the marine park. He said he and others in the $15 million Coffs Harbour seafood industry would have to contemplate moving away from the local area once the new zones take effect from March 1. A third-generation fisherman with a large stake in the local industry, he said this week was the first time in 30 years he'd thought seriously about getting out of the game. “Without doubt there'll be a few boats thinking about moving north or south of Coffs Harbour,” Mr Kerr said. “We don't know how many boats this will affect in the fleet, it's far too early to tell, but there's no way we can cram the current fishing fleet into the patches that will be available for trawling. “It's like putting too many cattle in the one paddock. 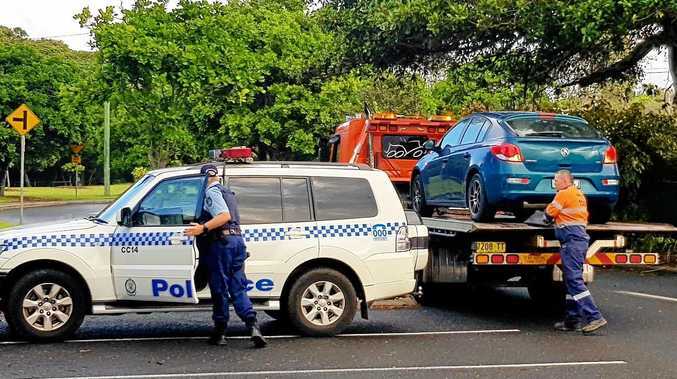 “There's no comfort whatsoever in the government offering licence buybacks, really this is a loss-loss situation for the families associated with the Coffs Co-op. Mr Kerr's heartfelt opinions were echoed by the executive officer of the Professional Fishermen's Association. “The announcement of the new zoning arrangements for Solitary Island Marine Park was devastating news for the commercial fishing industry,” John Harrison said. “We find it extraordinary that the Labor Government can be so blatant in their attempts to win votes. This is nothing more than bowing to a minority group who put forward myths about the commercial fishing industry. The state's green and conversation groups, however, have embraced the changes that came as a result of 6519 public submissions and 42 stakeholder meetings. “The changes to the Solitary Islands Marine Park zoning plan will deliver improved conservation outcomes, with long-term benefits for recreational fishers and local tourism operators,” said Nature Conservation Council of NSW chief executive officer Pepe Clarke. “The expansion of sanctuary zones from 12 per cent of the marine park to 19 per cent will provide welcome protection for the more than 530 species of marine life that call the park home. “Reducing the area open to prawn trawling from 34 per cent to 13 per cent will lessen the industry's impact on seafloor habitat, giving marine life a chance to recover from the effects of trawling. The Professional Fishermen's Association says the economic impact of the decision will hit Coffs Harbour hard. The aggregation of these businesses to a new location puts at risk the viability of other fishing businesses in the area to which they relocate. “This is death by a thousand cuts and all the industry can say is bring on March 26 and we will get someone who is prepared to listen to us,” Mr Harrison said.